Almost all of us communicate with different kinds of people in our day to day lives. They can be our family members, friends, colleagues, students or customers. It is very important to convey the thoughts and ideas to others in a polite way. Otherwise they might not be able to give the response which you expect from them. Thus communication has a crucial role in our lives whether it is spoken or written. It is an evident fact that the word communication has got transformed into many other forms in the last few decades. Television shows do communicate with the viewers!Films do communicate with its spectators!Even advertisements communicate with the people who watch it or read it. Can you believe it? 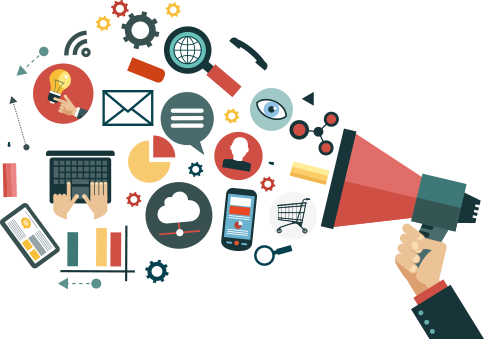 An advertisement is a medium which allows communication between the provider and the user. They are messages paid for by those who send them and are intended to inform or influence people who receive them.But nowadays advertisements have more status than brands.The fancy and extravagance of advertisements is what influence people rather than the quality and quantity of products.Newspaper, magazine, radio, television, directories, direct mails, catalogues, outdoor, transit, leaflets, online etc. are different types of advertising that we come across every day. Can you say which kind of advertisements you are familiar with? Most of us of this generation will say online advertisements since we don't read newspapers or magazines. All other kinds ofmedia have been replacing with certain applications which can function more effectively.Thus advertising being a strong communication medium for the product and service users plays a key role in our lives. As the time passes new types of advertising like indoor and outdoor advertising take lead in the market of ads. Where traditional advertisements failed to get an impression, new types of advertisements such as indoor and outdoor advertising are effective in action. Indoor advertising represents your messages or services in enclosed spaces such as supermarkets, cafes, restrooms, bus stations, sports clubs, schools and others. It creates an atmosphere in which visitors can easily identify your products and brand. It is capable of reaching consumers when they are undistracted and receptive to receiving messages.Indoor billboards, or restroom advertisements, have many advantages over traditional approaches like they are hard to miss, captive audience, better retention, target specific demographics easily, inexpensive, less competition and also they increase brand awareness. Indoor billboards are strategically placed inside stalls, above mirrors, along walls where folks wait in line, and in other hard to miss locations where you will have nothing else to look at. Thus automatically you will notice it and probably read it. Restaurants, bars, clubs, and other entertainment venues can also be places where your ads will get more attention. Indoor advertisement is the finest way to target specific demographics. For example if you want to target youngsters you can place your ads in a pubs or clubs. If women are your target you must distribute your ads in female restrooms and health clubs.All these will benefit your business and more people will start recognizing your brand. Advertising has become a method to propagate the product range. More than that it itself plays the role of a business industry. Hyderabad, one of the crowded metro cities holds the Best Indoor Advertising Companies in India. One among the Top Indoor Advertising Companies in Hyderabad is Aakruti Solutions which provides excellent web design, e-commerce sites, mobile apps and graphic designs. Top Indoor Advertising Companies in Hyderabad leads the technological revolution in India which targets in creating a high- tech society. Aakruti being one of the Famous Indoor Advertising Company in Hyderabad has a crew of experts who can make your dreams flower by preparing indoor advertisements in low- cost. We have different advertising types like promotional posters, flyers, information table, light boxes, floor graphics, promotional stands and leader boards. Aakruti being one of the Famous Indoor Advertising Company in Hyderabad has a crew of experts who can make your dreams flower by preparing indoor advertisements in low- cost. In most cases it is not the product which captures consumer’s heart. It is the way of creating an advertisement. People who notice it should recognize it as a needy and useful thing. Top Advertising companies in Hyderabad are ready to help you with any types of indoor advertisements. This less expensive and creative ads will not only help your product movement but will alsomake your brand spread wide.People who run different businesses have started considering indoor advertisement as a useful and less expensive method to expand and boost the number of customers. Probably because of the area of display these kinds of advertisements have more freedom of creativity! Come to Aakruti and experience what our expert professionals can do to make your efforts bloom. So just go for it and hit the market!